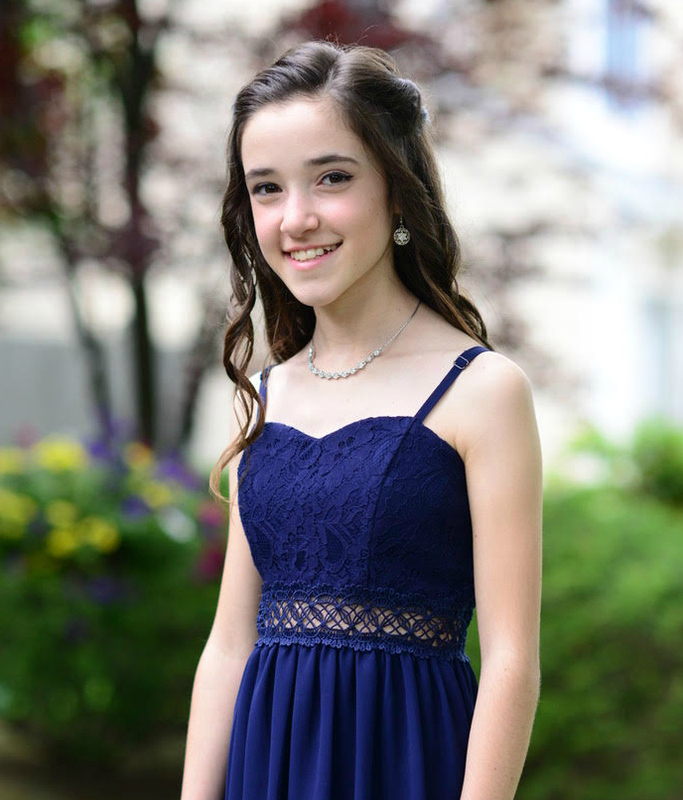 Delia is 13 years old and was diagnosed with celiac disease when she was 11 years old. What symptoms was your child having before being diagnosed? Delia had no symptoms other than being "petite". We watched her growth very closely through the years, but since she was always progressing, even though she was always 5th or 0 percentile, it wasn't a worry. I am petite as well as many direct relatives. As puberty approached I visited an endocrinologist to see if she needed growth hormones and that was the start of her diagnosis. She also had undeveloped enamel on her teeth and was very cavity prone. Her dentist asked me early on if she was ill as a baby or if I was ill when I was pregnant and the answer to both was no. I recently read something that suggests that this is another symptom of celiac though it is a new finding. Had we known, she could have been diagnosed much sooner. Any other family members diagnosed with celiac disease? How has your child’s life changed since being diagnosed? In 2 years she has grown several inches. She is still petite and 4'11" at almost 14 years old. Our goal is 5 ft :). She will probably always be petite, but now she is taller than her aunt and my grandmother ever were. Delia was never a great eater but she has improved since her diagnosis. What advice would you offer a parent who’s child was just diagnosed with celiac disease? Gluten free has been relatively easy for our family. We jumped in with two feet and never look back. She is an advocate for herself but you can never be too careful. My family rolls their eyes at me because in restaurants I "over do" it, explaining that she is allergic to gluten. Then when her meal arrives I double check. Recently she was brought a plate of pasta and I as usual asked the waiter when it arrived "gluten-free"??? And he said no - they don't have GF pasta. He misunderstood the order. But had I not asked again, she would have consumed the entire plate. My advice to parents & those kids advocating for themselves is to make sure you feel confident in your choices, and if not question them until you do. Delia, you're petite and pretty! I'm so happy you are growing and developing the way a young lady should. Best wishes on a great school year!